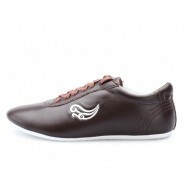 Wholesale Worldwide ICNbuy.com don't only retail feiyue shoes, warrior footwear and Tai Chi apparels online but also wholesale them worldwide, including USA, Australia, UK, Canada, Norway and so on. Best Quality, On time Delivery and Low Price are ICNbuys' Mission. Please feel free to contact us for the wholesale price and offer. The wholesale email contact is icnbuys@outlook.com. We are very glad to offer the best products and services for you.